Here Is the latest eNewsletter. Click the Image for more information and to book a place. 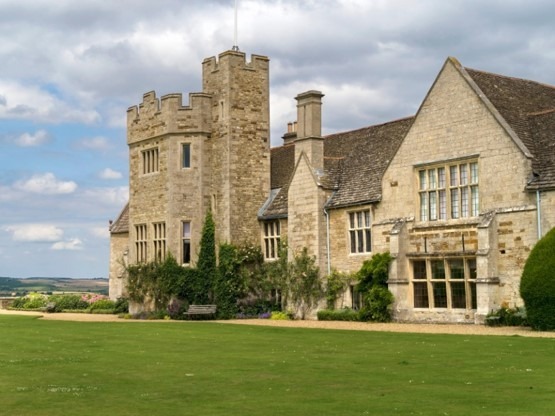 Rockingham Castle was a venue we had not visited before. A good number of cars arrived through the day despite the Silverstone Classic being one of the competing local events . We were keen to invite as many other makes as possible. We had a group of TVRs and Honda S2000s, Graham brought his Austin Healey 3000. 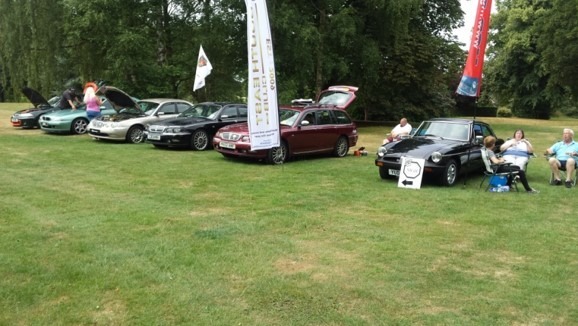 We had good support from the South East MG Rover Group with a range of Rovers including a BRM Rover 200. Of course there were plenty of MGs as well. The staff made us very welcome. Entry included a free guided tour of the grounds. The guide told the fascinating history of the castle and we could look at the stunning views across Northamptonshire from the castle ramparts.Others were content to relax and enjoy the warm weather in the beautiful surroundings.We hope to do something similar next year. If you would like to suggest a venue please get in touch.My thanks to Clive Wilday and Paul Scott for their support with the event. There can be little doubt that there is nothing a classic Car enthusiast wants more when they draw their pride and joy from its shelter during any British summer is the promise of a warm and sunny day, and that’s exactly what was on offer when the MGB Register set up the welcome gazebo at Millets Farm centre, Frilford Heath in Oxfordshire on Sunday 5th August 2018. Millets farm is a popular and well known local farm shop and garden centre located southwest of Oxford and just a few miles from Abingdon, the home of the MG and is an ideal location for a Classic car event. 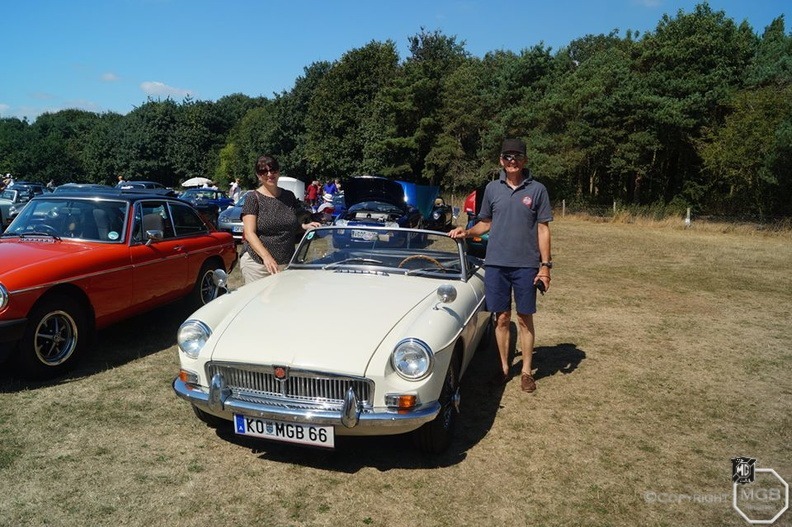 Although, the MGB Register summer picnic is a fairly new event, now in its 5 year, it is becoming firmly established in the diaries of both local and indeed even some international MG and classic car owners! This year saw around 80 classic cars arrive under a cloudless clear blue sky, on what again promised to be a scorcher of a day both in regards to this year’s seemingly unrelenting summer sun and the heady mixture and variety of the stunning cars out on display. 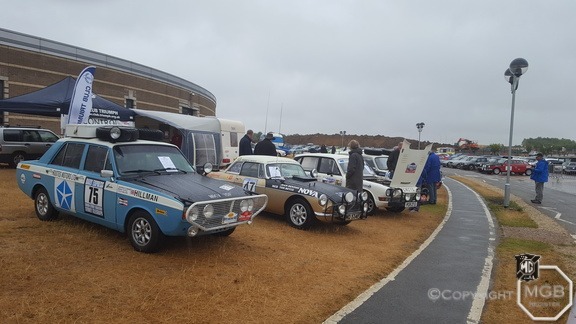 The main stay of the gathering was of course the evergreen MGB in all of its mark formats, from early pull handle 3 bearing cars, Jubilee and LE models, to the plentiful MK 2 and later mark 3s in both chrome and rubber bumper examples and even some very throaty V8s and Frontline examples! To ensure that the event was well supported all classic cars were welcome and an array of British made cars arrived either as individuals or as small marque groups including the ever popular Triumphs and TVRs. Among the more noticeable cars park on the parched and dusty field were a couple of overseas visitors, not necessarily the cars although the alpha and the stunning metallic maroon Stingray present was very popular but the couple from Austria, Gabriel & Walter Amfried who had planned a touring holiday to the UK this summer in there MGB roadster and had planned their road trip route to ensure they could attend the MGB register picnic! The location, although not Texas was still hot and dry, and this produced an unusual if not very short weather event !! and the day did not go completely unscathed as just as the committee gathered in what little shelter was being offered by the registers welcoming gazebo for their well deserved lunch a small but persistent “mini tornado” swept through the shelter causing panic at the picnic as bits of lunch and display material flew in all directions and towards the parked cars …… luckily no damage done !! The 6th annual MGB register Picnic event has already planned for 2019 and will be held on Sunday 4th August 2019 at Millets farm. I have an interesting enquiry which one of your members may be able to answer. 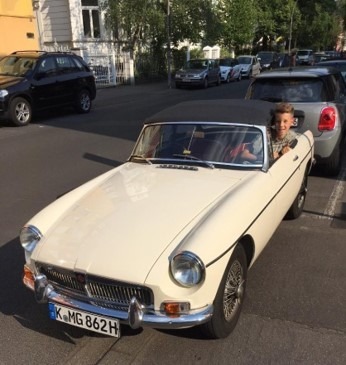 I was a member of the MG Car Club back in the 70s/80s when I had a 1964 MGB with lever door handles. The car and I had many experience’s over the years until I very reluctantly sold it in 1985. I was living in Droitwich near Worcester and I thought it may have been broken for spares. This is where it gets interesting. To my amazement on Thursday 12th July I saw my car PRF 909B in blue. The traffic was busy so I did not have time to follow. I know I can’t just obtain the address from DVLA so I thought I would contact you. It would be really good to speak to the owner and I am sure he would like to hear the history and things that were done to the car. 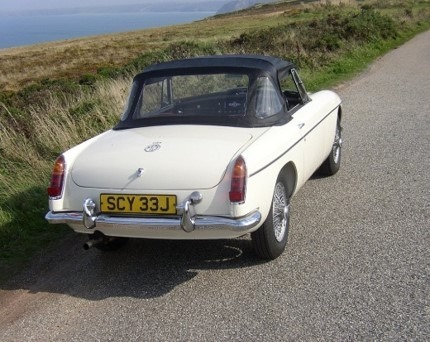 If your car is registered with the MGB Register and you have sent a picture or a selection of pictures to us, you can search on a PC via the magnifying glass with #(number given by the registrar). Or on your mobile device, clicking the multi box in the top right hand corner. Select Menu from the drop down list, then click Search adding #(number given by the registrar). During this move and having looked at every individual picture at least twice I think it would be good to see how things have changed. There are some older pictures with some nice 70’s styling and I don’t just mean the cars. The Members cars album will display the latest image additions first. 7 OCTOBER 2018 – 9.00AM – 2.00PM Bicester Heritage, Bicester OX26 5HA Founded in 2014 the Sunday Scramble began as a ‘cars and coffee’ get together amidst the early stages of our restoration works. Please Email events@mgfregister.org you will then be sent an email with the MGCC discount code. To get 50% off your entry fee the booking must be made before the 1st October.Tickets are available NOW.MGCC members will need to do the following when reaching the booking page to obtain their club tickets. ‘Click on the ‘Enter Promotional Code’ link towards the top of the ‘Tickets’ block on the booking page and input your club discount code ******. The club ticket option will then become visible in the list of ticket options for you to select. Please note, if the Classic Vehicle ticket is purchased instead of the Club Vehicle ticket, there will not be a space allocated in the club parking display area’. This short story about 557 is an extraordinary one. Produced between the 29th August and the 4th September 1962 (according to the British Motor Industry Heritage Certificate) 557 was born in Old English White with red interior and white piping. 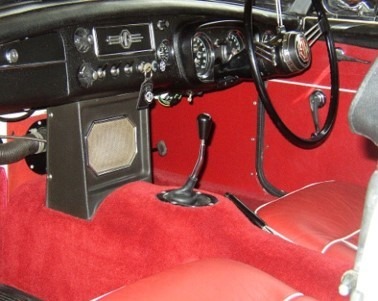 The car was delivered with wire wheels, heater, red tonneau cover and a folding hood. It was the 32nd produced RHD car for the home market. This was confirmed by Anders Ditlev Clausager – Archivist on behalf of the B.M.I.H.T. The first owner was Diana Maud Pearce. She got the car as a gift from her husband on her 50th birthday in 1962. She ran the “Appletree Cottages“ in St. Marys on the Scilly Islands. 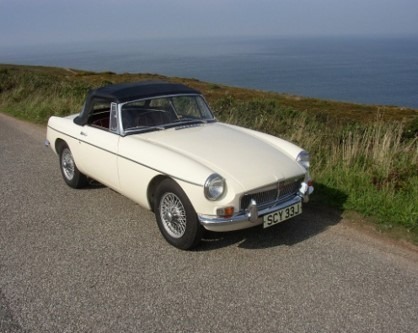 After she passed away in 1997 her successor Mr. Alan Sibley was assigned, to take care of her well loved MGB. As a result, 557 had covered only 22.000 miles on the clock, before it went for some work to Tim Kelly, an MG Specialist in St. Agnes, Cornwall in 1997. Tim explained to me that the number plates SCY 33J were put on the car in 1971. The Finance Minister* was astonished to discover that none of the Scilly Island cars paid any tax, so all the cars on the island were registered in 1971. All the work was done with regard to conserving as much originality as possible. The result was a bare metal respray in original “Old English White“, new sills, overhaul of the front suspension, a new clutch and hood, and some other small work on the body. Tim Kelly confirmed to me that it was the most original MGB he ever worked on. In 2017 the original 3 bearing engine was totally overhauled – due to oil leakage and loss of performance. Today 557 is still on the road with a very good performance and is still in a very original condition. And as we know today, possibly the oldest existing RHD MGB in the world. * Editor’s Note: This may have been the Prime Minister, Harold Wilson, who used to spend his holidays on the Scilly Isles. If anyone knows for sure please get in touch. If you think you know of an older production RHD MGB still in existence, or you have a story about your MGB, please get in touch.